High gas prices, changeable weather and growing urea imports were among key factors affecting the Grupa Azoty Group's Q1 performance. Strong results posted by Plastics and Pigments, efficient management of nitrogen, and coordinated maintenance shutdown policy helped mitigate the impact of adverse market trends. As a result, the Group earned revenue of almost PLN 2.5bn, generating EBITDA of PLN 403m. Although both revenue and EBITDA declined, by PLN 190m and nearly PLN 50m, respectively, the Group’s EBITDA margin remained comparable year on year, at 16.1% vs 16.9% in Q1 2017. The key factor bearing on financial performance in the first quarter of 2018 were gas prices. Two cold waves with heavy frosts that swept over Europe at the end of February and after the tenth of March led to record-high gas prices on commodity exchanges and considerable depletion of gas stocks. In the first three months of 2018, gas prices ranged between EUR 17/MWh and EUR 59/MWh. Another consequence of the harsh weather in February and March were deteriorated conditions in agriculture. The prolonged winter and frosts postponed the start of field work until the end of March and beginning of April, which in turn delayed fertilizer application and increased stock levels at distributors. Coupled with growing imports (mainly of urea), this was the key factor affecting sales of fertilizers in the first three months of 2018. ‘The Q1 results clearly demonstrate the crucial role of diversification in our business. Therefore, a continued effort to diversify is one of the four pillars of our strategy until 2020. It will be supported by further investment projects, including completion of our flagship Police Polymers complex. Unlike other companies operating on the chemicals market, which often rely on a single business pillar (e.g. fertilizers), we are able to resist adverse trends taking advantage of the capabilities and strength of our other segments. In the first quarter, the entire Group worked extremely hard to deliver the best possible results amid unfavourable macroeconomic conditions,” said Wojciech Wardacki, President of the Grupa Azoty Management Board. “Continued solid performance of the Plastics and Pigments segments, improved performance of the OXO segment, as well as higher sulfur prices contributing to better results posted by Siarkopol, were among the key drivers of our EBITDA in Q1 2018. The Agro Fertilizers segment’s production and marketing efforts taken in the face of challenging conditions on the feedstocks market, such as unprecedented volatility of gas prices, proved our ability to swiftly respond to market challenges, as demonstrated by the fertilizer segment’s EBITDA margin of 14%. While revenue earned by the Group in the first quarter of 2018 declined year on year by almost 8%, we are satisfied that, on the lower revenue, we were able to generate EBITDA margin of 16.1%, which was close to the Q1 2017 figure of 16.9%,” said Paweł Łapiński – Vice President of the Grupa Azoty Management Board, responsible for finance. Accurate evaluation of the situation in fertilizers is of key importance to our business. The high stocks held by distributors and unprecedented volatility of gas prices became catalysts for an active production and sales policy. By reducing production volumes when gas prices were soaring and thanks to maintenance shutdowns commenced already in Q1 2018, the Group’s EBITDA margin on fertilizers came close to 14%, a very good result produced despite a nearly PLN 270m decrease in revenue (resulting mainly from lower sales volumes). A noteworthy fact is that our effective management of nitrogen translated into growing volumes of industrial grade urea and urea-based products (AdBlue and NOxy) sold, contributing to the Chemicals segment’s performance. Another notable factor was gas sales, which – given the high prices and limited fertilizer output – supported the growth of profit earned in the Energy segment. The Chemicals segment’s EBITDA came in at PLN 126m, up by almost 19%, on revenue amounting to PLN 767m, up 12%, in the period. These impressive rises were achieved on the back of growing output and sales of OXO products, continued favourable trends in titanium white prices, improved sentiment on the sulfur market and sustained results in the melamine business, despite a challenging landscape in raw materials (notably gas and energy, including a sharp increase in emission allowances). Growing competition on Asian markets, coupled with a weakening of the US dollar against the złoty (down 16% yoy), encouraged the Grupa Azoty Group to redirect some caprolactam volumes for further processing, using the capacities of the newly opened Polyamide Plant II in Tarnów earlier than originally planned. This line of action will be continued to reduce the Group's exposure to Asian competition and help it achieve higher margins on polyamide. Eventually, for Q1 2018 the Plastics segment posted revenue of PLN 411m (on a par with that reported for Q1 2017), with EBITDA of PLN 60m and margin of 14.6%. 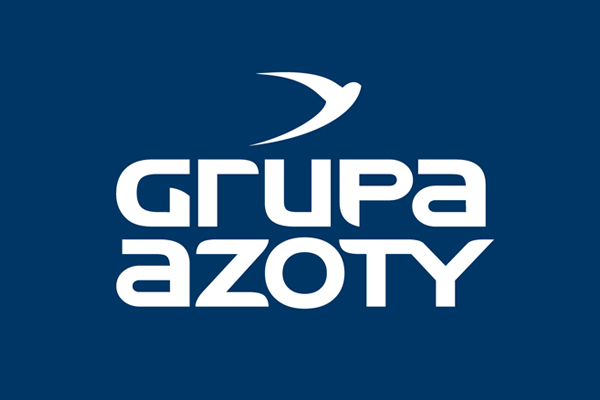 The Grupa Azoty Group is the undisputed leader of the Polish fertilizer and chemical market and one of the key players in Europe. It is the second largest EU-based manufacturer of nitrogen and compound fertilizers, and its other products, including melamine, caprolactam, polyamide, oxo alcohols and titanium white, enjoy an equally strong standing in the chemical sector, with a wide range of applications in various industries. In May 2017, the Group unveiled its updated strategy until 2020. The key development areas cover completion of the Group's consolidation, reinforcing its leadership in agricultural solutions on the European market, strengthening the second operating pillar through expansion of the non-fertilizer business, as well as generating and implementing innovations to accelerate growth in the chemical sector. The Grupa Azoty Group is the integrator of Poland’s chemical industry. By consolidating the plants in Tarnów, Puławy, Police and Kędzierzyn-Koźle, it has ensured that the key chemical companies have remained in Polish hands, while creating a number of cost synergies. By 2017, the consolidation of strategic procurement, production, maintenance, logistics and IT generated savings estimated at no less than PLN 710m. The integration has brought multiple benefits to the Polish economy, the Group as a whole, and its individual plants.